On July 27th MCPL showed just how much Libraries Rock! 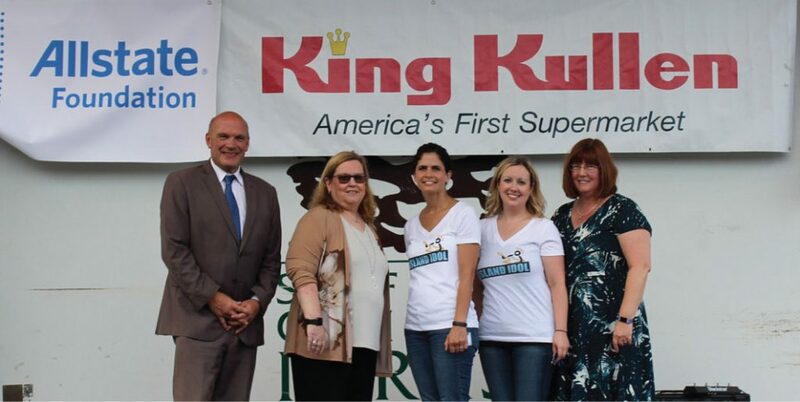 This year’s annual music festival, Island Idol, was sponsored by King Kullen, Friends of the Middle Country Public Library and The Allstate Foundation. 22 talented teens performed for the crowd. It was an exciting and enjoyable night for all the contestants and community! Pictured (l-r): Bob Shaw, district manager, King Kullen; Sue Bohrer Braun, agent, Allstate Insurance; Tracy LaStella, assistant director for youth services; Kristine Tanzi, coordinator for teen services; Lori Abbatepaolo, grants coordinator. Pictured (l-r): Julia Ingemi, Winner, Best Musician/Dance Performance; Delaney Hallahan, Runner-Up, Best Musician/Dance Performance; Jocelyn Manginelli, Winner, Best Solo Vocal Performance; Thomas Shockley, Runner-Up, Best Solo Vocal Performance.